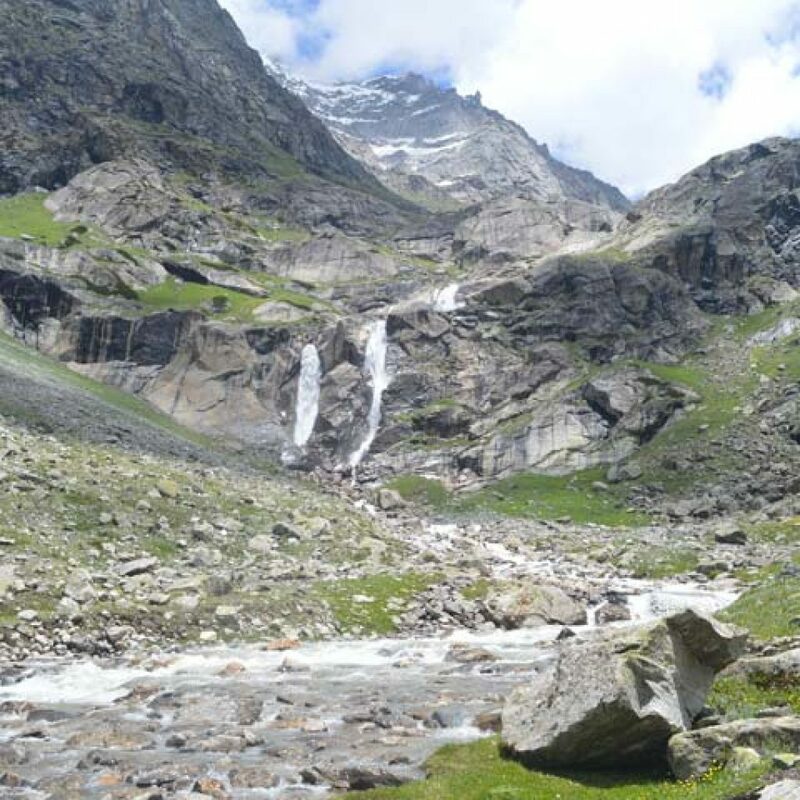 This is a trek to the source of Duhangan river and the base of Deo Tibba mountain. 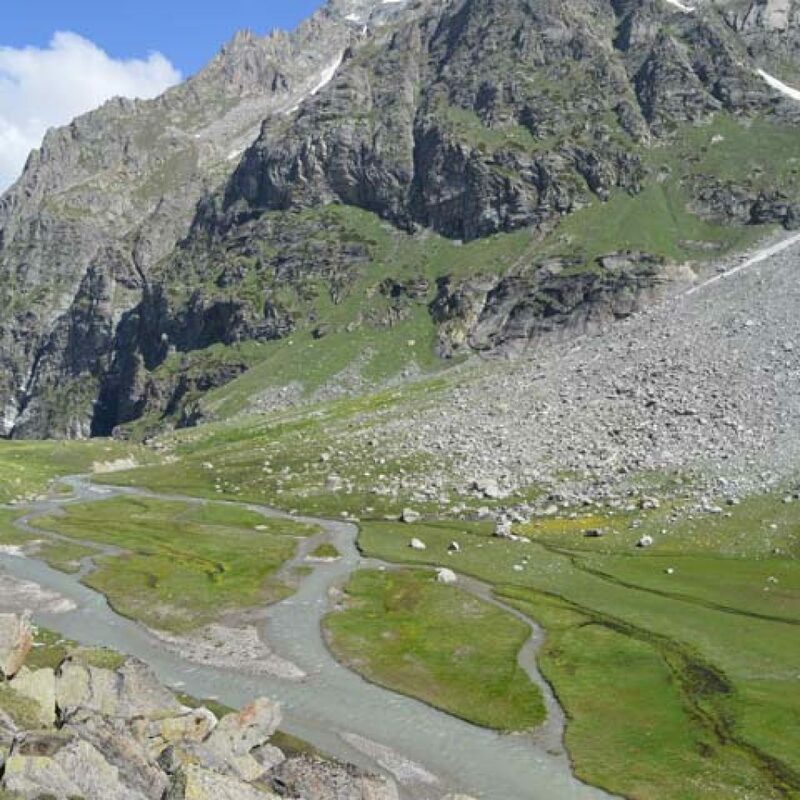 Duhangan river flows east-west and merge into river Beas near Jagatsukh village 6 km before Manali. 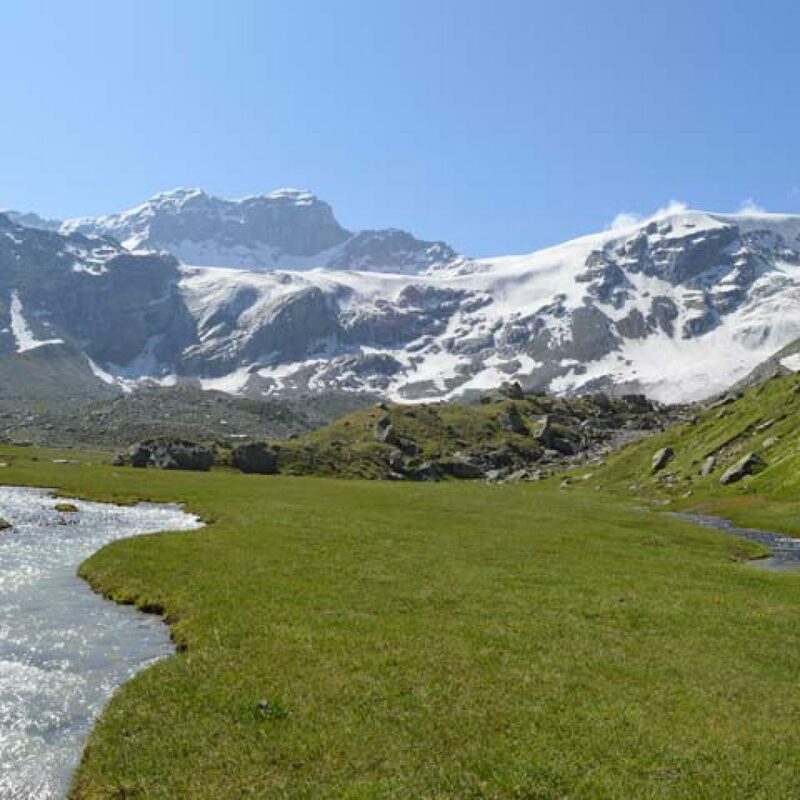 The trail takes you to the snout of Duhangan glacier at an altitude of 14000 ft. Valley closes itself here and mighty Deo Tibba dominates the scene. A right turn into a small valley and uphill climb brings you on a rocky ridge with flat top that forms one of the valley’s sides. 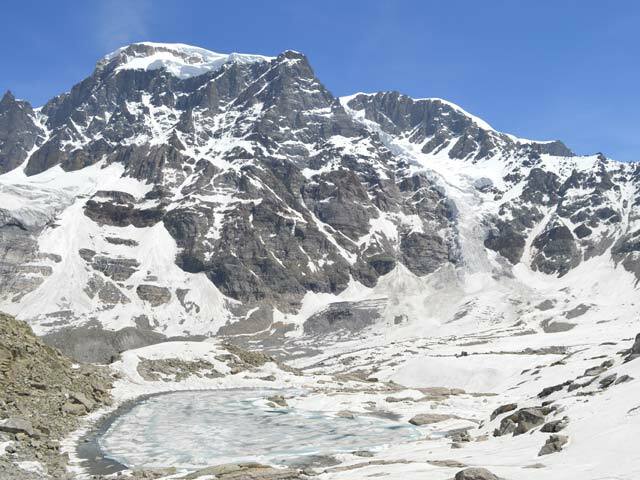 Few meters further you find a huge water reservoir on the rock bed….…… the Chandertal — A wonder on the high Himalaya !!! 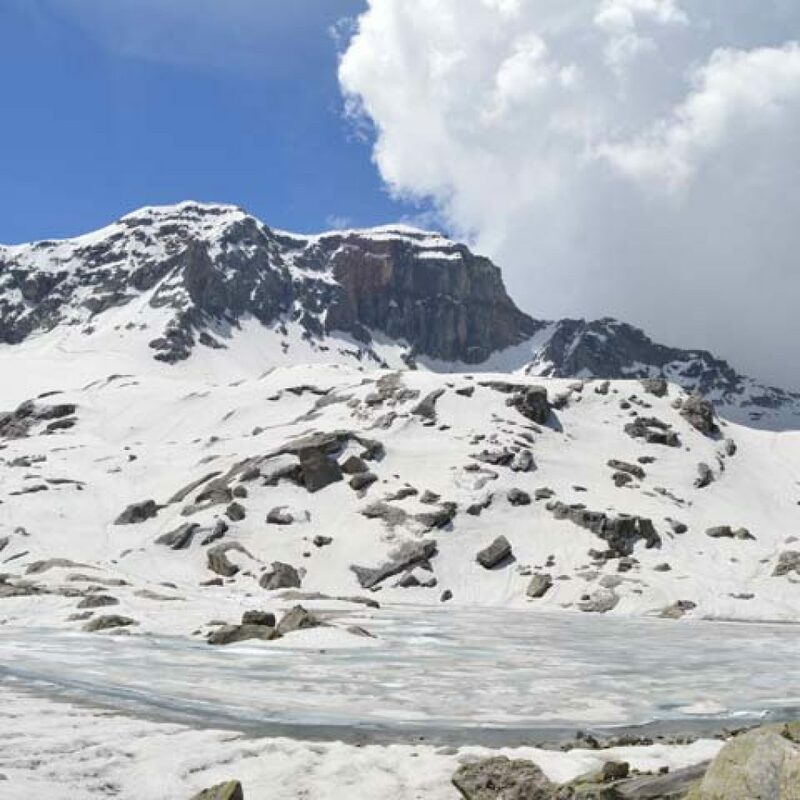 A six kilometer road from Manali takes you to the village of Jagatsukh. 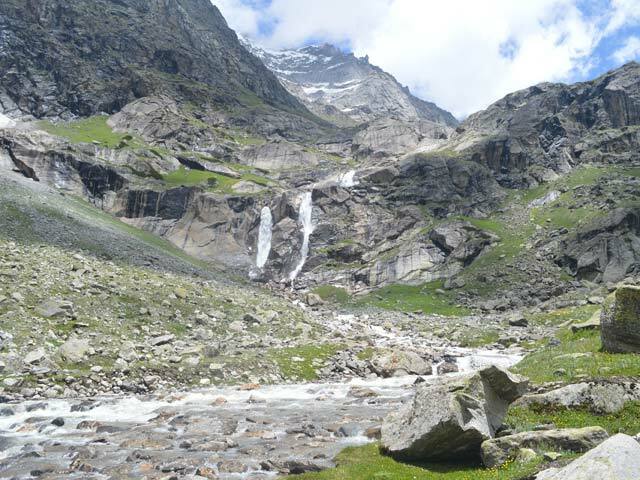 From Jagatsukh you take a left diversion into Duhangan River valley. Further 20 km road of a hydro project take you up to the barrage of this project. Here you leave your vehicle and start your trek. 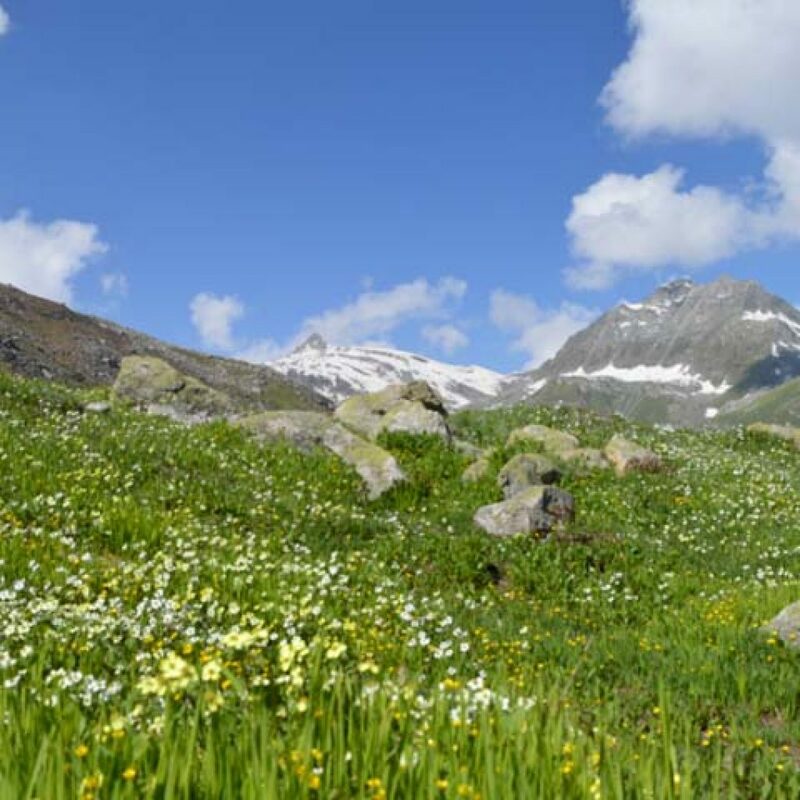 The three kilometer long trail first winds through thick forest and then opens in a meadow. Chhika is a religious place dedicated to a Serpent God- Bhanaru Naag. 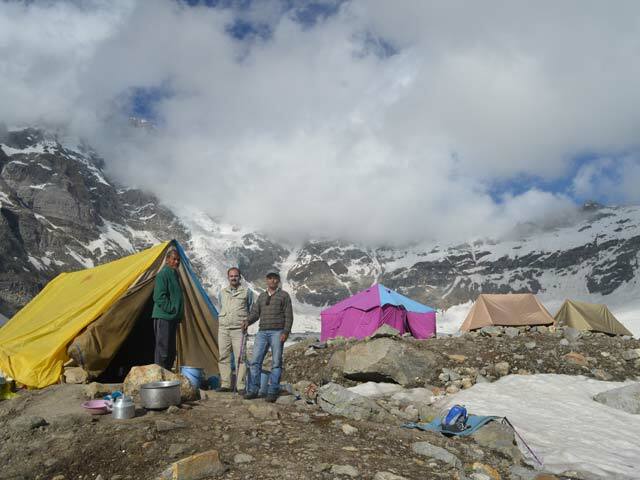 Camp at Chhika. Today the trail continues uphill for 6 km along the right bank of Duhangan river. 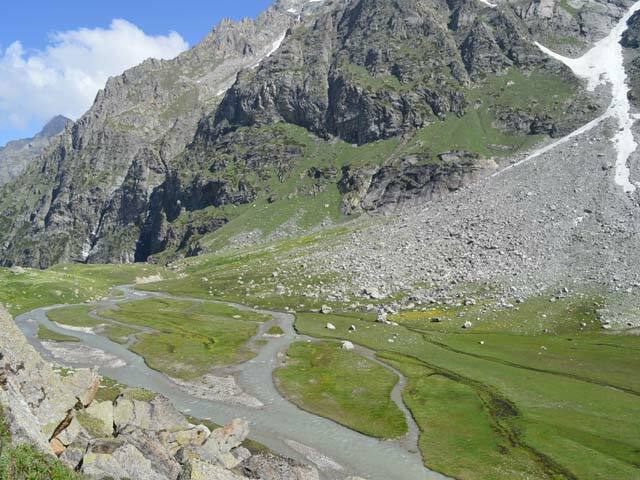 Seri is a beautiful river bed meadow. You may call it a golf course beside a river. A flat green ground, in which a river falls making a huge waterfall at the head of the valley and then flows slow winding its way across the ground to disappear at the other end. You camp here for the night at the shore of the river. 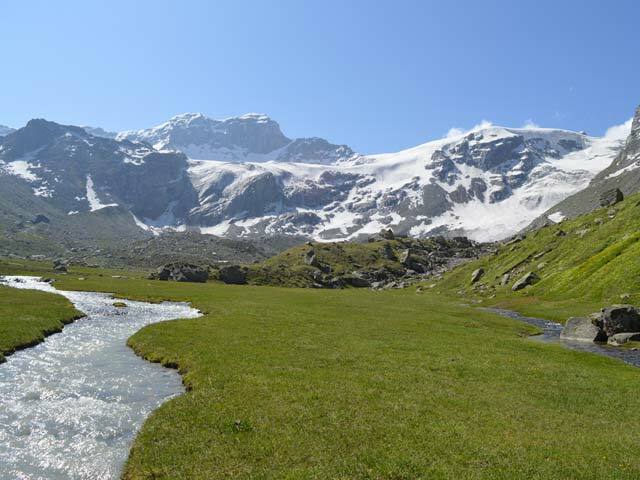 Today first, you need to cross the river and then trek goes zigzag up on the left slope of the valley to reach at Tenta, again a valley floor meadow. Here, you have to cross the river once again to the right bank. 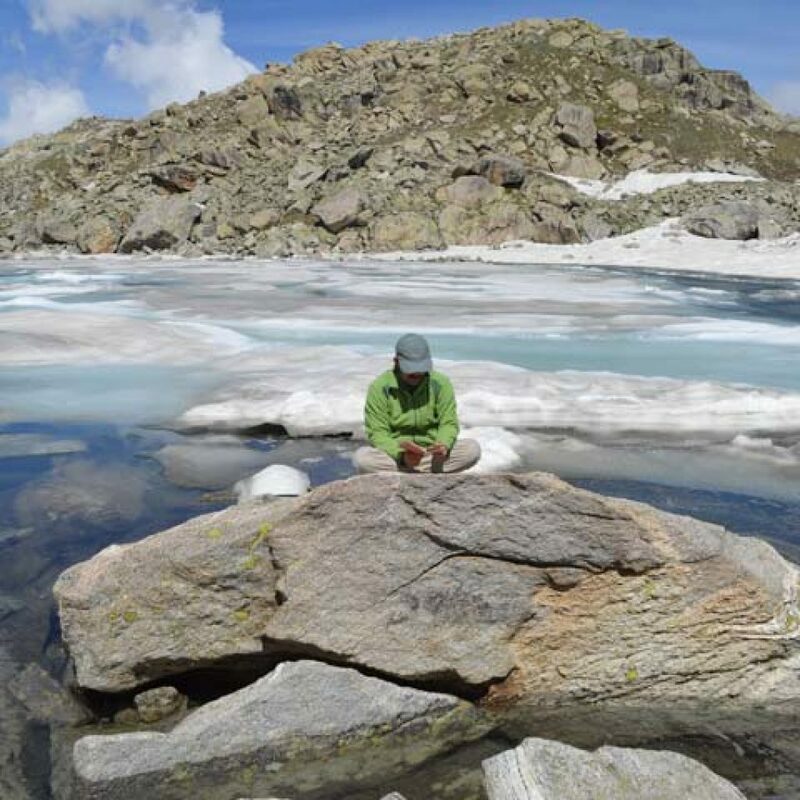 After crossing the river you trek along the river up to a bulged out ridge of a moraine. 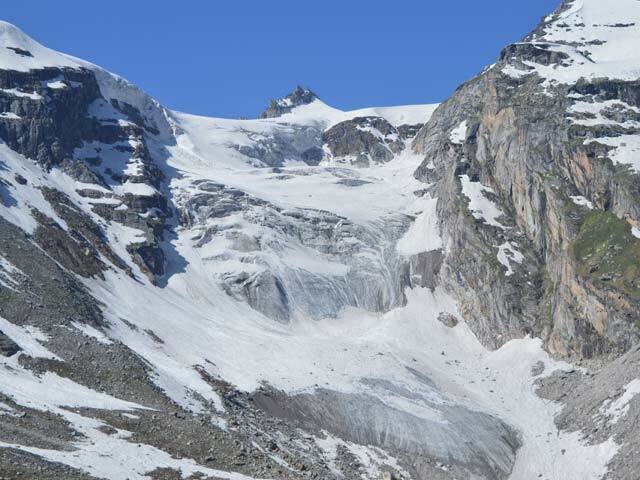 To one side of the ridge is the snout of the glacier wherefrom the river Duhangan originates. You fix your camp on this ridge for overnight stay. 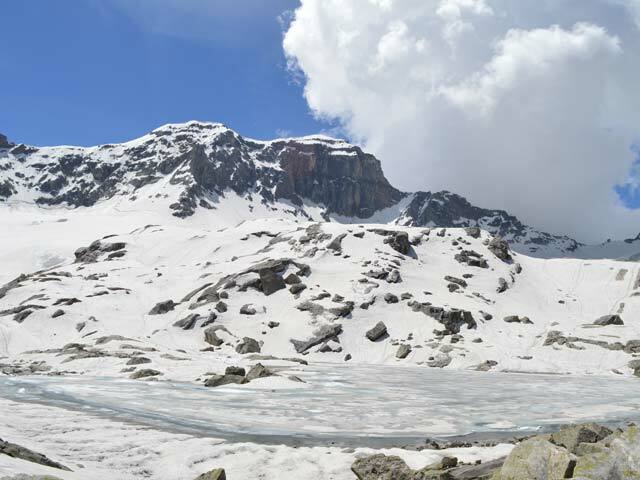 The south- west face of Deo Tibba dominates the scene. 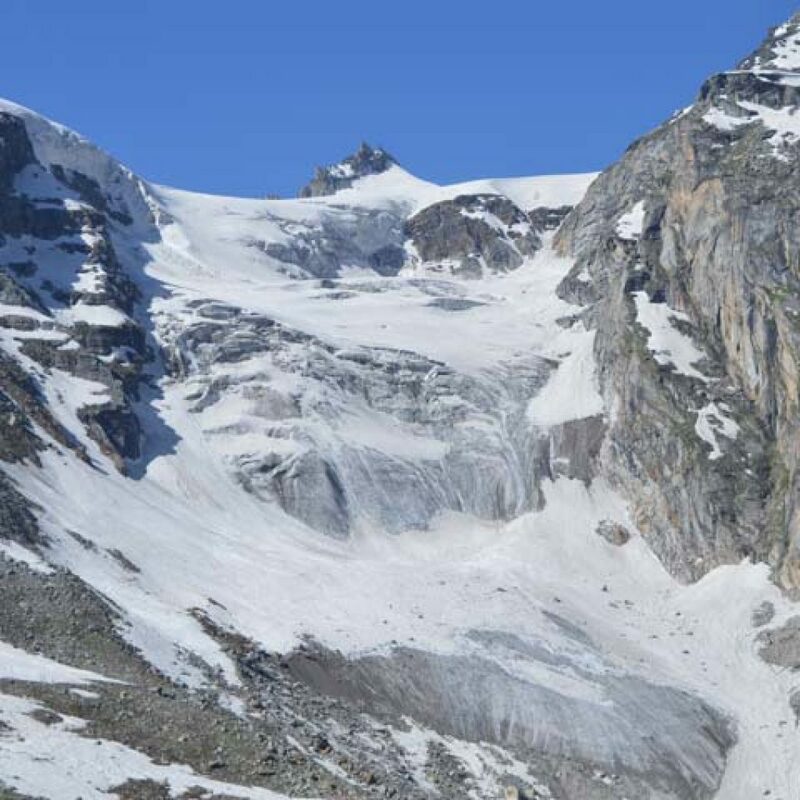 A huge icefall descends down on this face, right from the top of the peak to the floor of the valley. 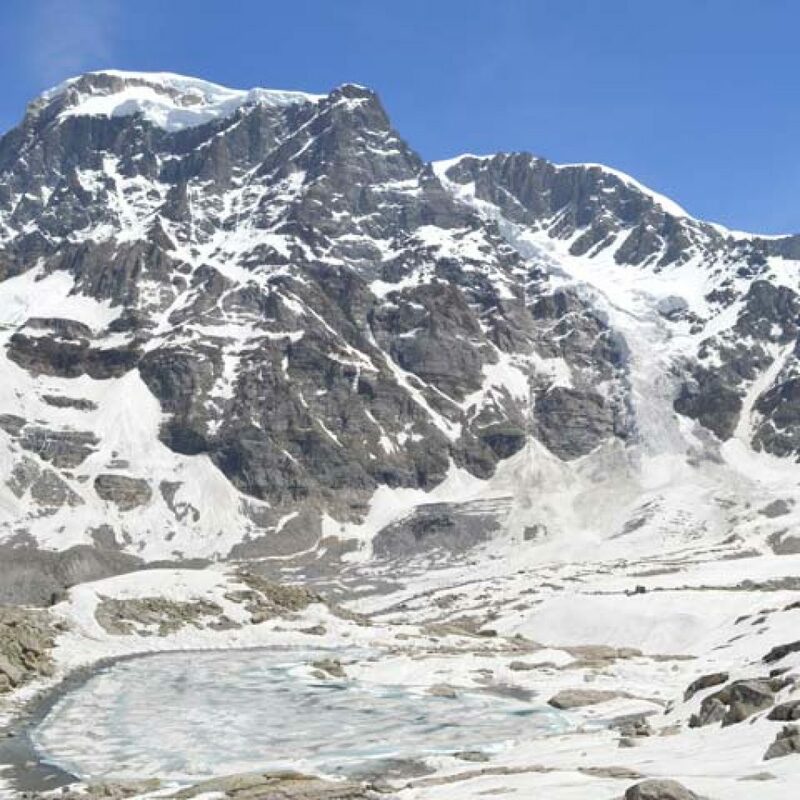 The ridge connecting Deo Tibba Peak and Norbu Peak closes the valley in the east. 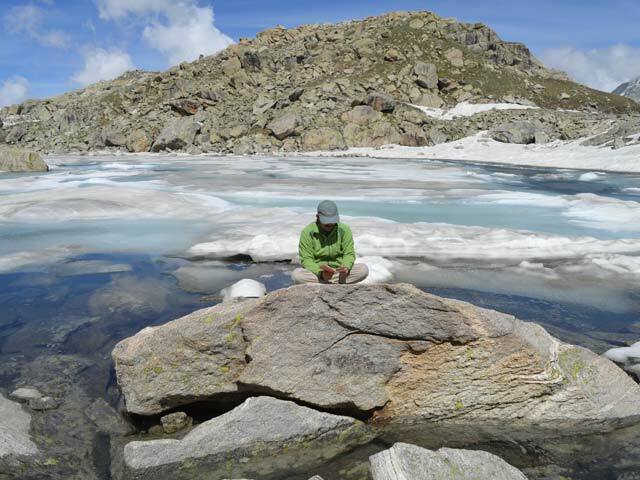 After 2 hours uphill trek you arrive at Chandertal Lake. Situated on a rock cliff above the glaciated valley, it is a wonder to see a reservoir of water having a bottom of hard rocks. It is a lake locked by rocks from all sides. In Hindu mythology, it is said to be the holy place, the meditation place of Dhomya Rishi. 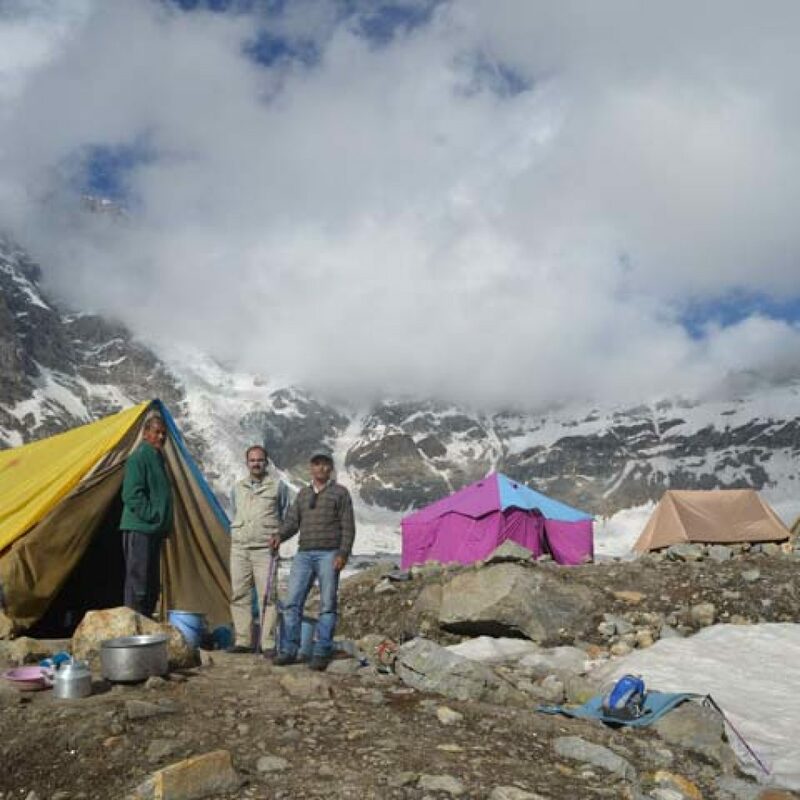 After spending some time here, you descend down to the camp, bind up the camp and further descend down to Seri to fix a camp there for overnight stay. The next morning you trek down the same route through Chiika to reach at Barrage of the Hydro Project. At this point you will be picked up by Jeep to take you to Manali. Taxi from Hotel/Guest House/ Bus Station at Manali to road head place near Chhika on starting day.